As autumn gives way to shopping season, a day full of local flavor sits nestled between the modern capitalist cornerstones of Black Friday and Cyber Monday. 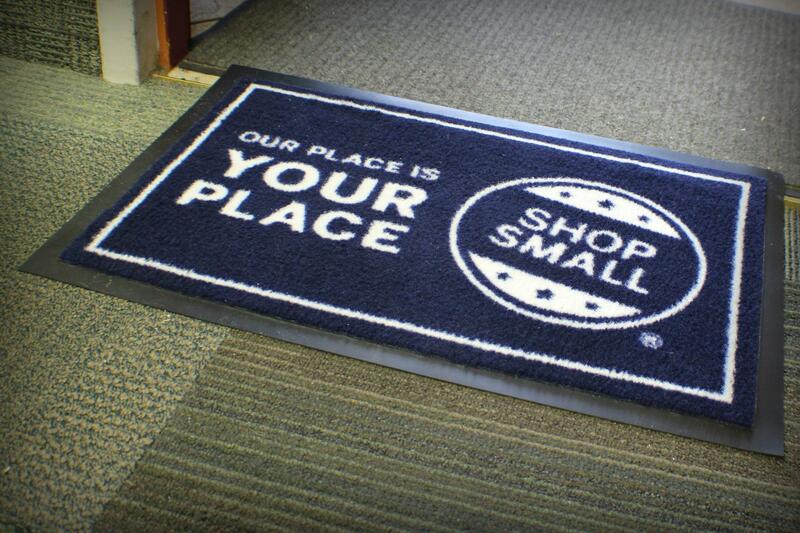 The newest of these commerce-centric celebrations, Small Business Saturday was started less than a decade ago as a response to a pressing question posed by many small business owners: How does one get more customers to shop at small, brick-and-mortar stores during the holiday season? The first event was sponsored by credit card giant American Express in partnership with the National Trust for Historic Preservation, a non-profit organization, and Boston Mayor Thomas M. Menino. Since then, social media, advertising, and public relations initiatives have made the day familiar in cities across the country. Both consumers and small business owners may find it interesting that economic studies on Small Business Saturday report that in the U.S., on average, two-thirds of every dollar spent at small businesses stays in the local economy. Additionally, according to the Small Business Economic Impact Survey from American Express, "every dollar spent at small businesses creates an additional 50 cents in local business activity as a result of employee spending and businesses purchasing local goods and services." Erie is one of the many communities across the nation that thrives with the support of small businesses. This relationship, though, is symbiotic and requires upkeep from both sides. Local businesses in the area have done their part and are prepared for the Shop Local celebration, now all they need is you. Advertising a wide range of goods and services — including but not limited to; soaps, recreation products, clothes, scents, knits, food, show tickets and art — business owners around the area have prepared sales and events, and in some cases, live music and food to accompany such. Below we've compiled a list of some Erie retailers that will be hosting Small Business Saturday events. When you spend $50 on gift cards for those on your shopping list, get a bag of coffee. In the spirit of supporting local merchants, E+F recommends taking a cup of coffee to go and walking to other shops to celebrate the sale day. 8 a.m. to 7 p.m. // Ember + Forge, 401 State St. // facebook.com. Refreshments, door prizes, and handmade gifts will be plenty. EFB will also be at Erie Marketplace celebrating Small Business Saturday. 9 a.m. to 9 p.m. // Elusive Fox Boutique, 3604 W. 12th St. // facebook.com. Nov. 24 -- 10 a.m. to 5 p.m. & Nov. 25 -- 12 to 4 p.m.
To benefit the restoration of the Warner, join the theater for two days of shopping, silent auctions, visits with Santa and more. Give a donation to the Second Harvest Food Bank to earn $1 off the $3 admission cost. Admission for children under 12 is free. Twenty-six vendors are slated for the 6th annual fair of locally made goods, coinciding with Small Business Saturday. 10 a.m. to 5 p.m. // Church of the Nativity Community Center, 109 German St. // facebook.com. Celebrate The Colony, a center for small shops, with free pancakes in the morning and earn prizes throughout the day by visiting all participating stores. 10 a.m. to 5 p.m. // The Colony, 2580 W. 8th St. // facebook.com. Pick up and sample scents of the season (and many more varieties of teas and herbs) during one day of unique sales. 10 a.m. to 6 p.m. // Chicory Hill Herbs, 2516 Peach St. // facebook.com. If you caught our issue earlier this year, you're aware that Independence Hill is full of independent shops. Coming off the momentum of Black Friday, the boutiques of the area will be hosting sales of their own. 10 a.m. to 7 p.m. // Pointe Foure Vintage Boutique, 2508 Peach St. // facebook.com. Stock up and prepare to stuff the stockings of the pet-lovers in your life with holiday gifts from the local animal network. 11 a.m. to 3 p.m. // Erie Animal Network, 1831 W. 26th St. // facebook.com. Open house attendees can visit the business' new location, receive a coupon for future purchases and one-day deals on massage treatments. 11 a.m. to 3 p.m. // Compassionate Hart, 2005 W. 8th St. Suite 101 // facebook.com. Shop local theater and snag Dramashop merchandise along the way. Local vendors will also be selling stocking stuffers and other holiday trinkets. 11 a.m. to 4 p.m. // Dramashop, 1001 State St. Suite 210 // facebook.com. Highlighting over 24 vendors selling handmade wares and music by Erie folk-pop vocalist Brooke Ashley Surgener. 11 a.m. to 5 p.m. // Polish Falcons Club, 431 E. 3rd St. // facebook.com. Satisfy your need for mead at this Greene Township startup. 1 p.m. to 9 p.m. // Ironstone Meadery, 9333 Tate Rd. // ironstonemeadery.com. Sip tea and shop unique art, jewelry, sculptures and more local creations to finish (or begin) your holiday shopping. 1:15 p.m. to 8:15 p.m. // Erie Art Gallery, 24 W. 8th St. // facebook.com. Revisit Basement Transmissions' old stomping grounds to reminisce, take advantage of holiday sales, or peruse the gallery while enjoying refreshments. 5 p.m. to 9 p.m. // Attic Rehab, 1501 State St. // facebook.com. Hannah McDonald is a senior at Edinboro University and the Reader's writing intern. She can be reached at hmcdonald@eriereader.com.